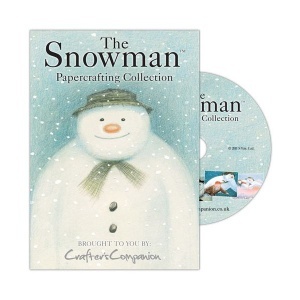 The Snowman Papercrafting Collection CD-ROM. When a young boy's snowman comes to life on Christmas Eve, the two set off on a night time quest for adventure. In their travels they meet dancing penguins, reindeer and even Father Christmas. This magical CD contains hundreds of papercrafting images based on the artwork of Raymond Briggs, later immortalised in the popular 1982 cartoon. With full design sets, co-ordinating papers, card backgrounds, toppers, sentiments and much more, this winter collection is perfect for all your festive cardmaking!